PGA Tour pros have learned it and won! Teaching pros and amateurs have been astounded by what they've seen! 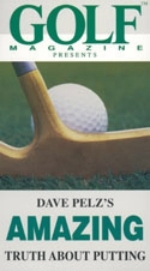 Now you can learn the secret to making more putts, breaking and straight, on any kind of green. It will change the way you look at putting forever.